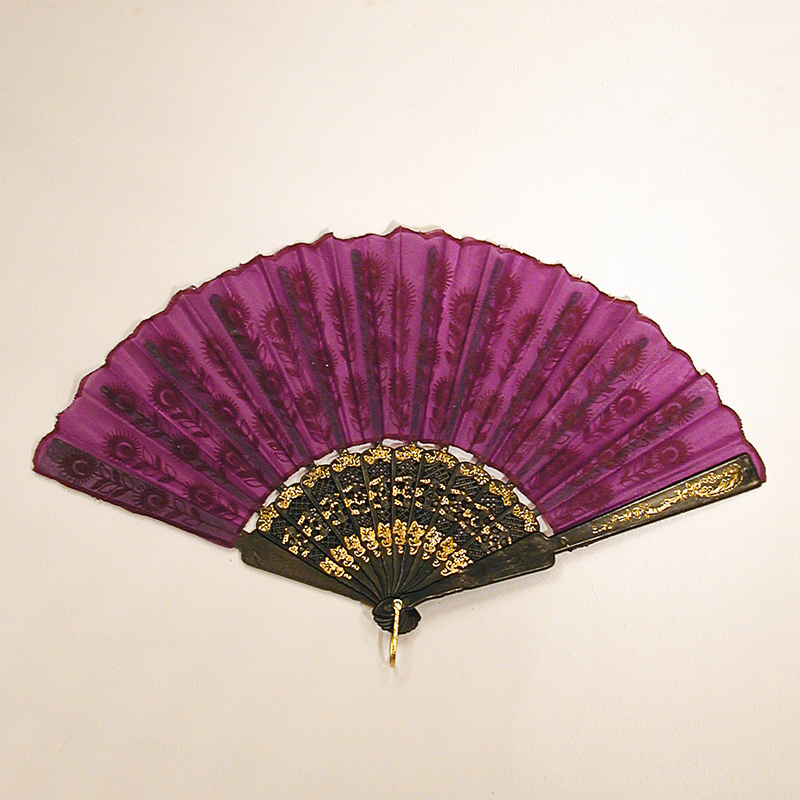 Flocked Fabric Fan for Dancing and Costumes Solid color fan with a flocked design and gold detail on a plastic frame. Color: purple Hue: Code: #7D009C. Measurements: width 16", length 9.